So with the constant switching, which Pokemon do we want to put up front? There's many options available, even on the budget side, but here we're going to use Pyukumuku due to its ability Inards Out which reads as follows: If this Pokémon is your Active Pokémon and is Knocked Out by damage from an opponent’s attack, put 6 damage counters on the Attacking Pokémon. Getting this out front means if the opponent wants to take you out they have to take more damage to do so. We're showing off a lot of this deck and we haven't even shown off the decklist yet! Let's get to giving it a look so we can show off the finer points of the deck! 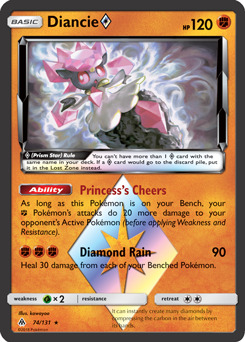 One of the more expensive cards in the deck, but one that it really needs to run well, is Diancie Prism Star. It's incredibly easy to search out and thanks to its ability Princess's Cheer you can hit for 20 more damage with your Hitmontop! With your low damage output in general, this is very important. This is also why we have several Professor Kukui as well. We also included classic budget draw power card Alolan Sandshrew GRI 19 and Alolan Sandslash GRI 20 as they go well with Brooklet Hill. We also include Escape Board to keep it easy for your Pyukumuku to retreat if the opponent doesn't knock it out as you need to bring Hitmontop back into the active. With Rapid Spin forcing switches, this can happen rather often. We also include Apricorn Maker to be extra sure you can get set up quickly. 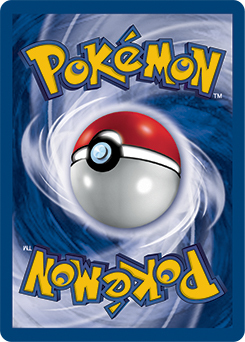 It can combine with Ultra Ball so that you can discard two cards and use Custom Catcher for its drawing ability as well! Custom Catcher is also nice if you need to force a specific switch to knock out the opponent. Cyrus Prism Star can also come in handy at the right moments. 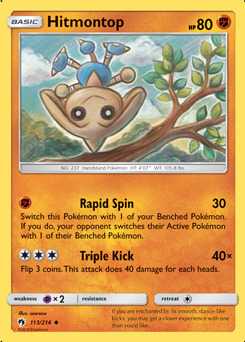 If you force your opponent to shrink down their bench, they may only have so many Pokemon left they will be forced to switch into. Use this one carefully; you don't want your opponent shuffling in a bunch of cards you already have damage on. Beef Up This Deck: Shrine of Punishment is a great way to get this deck in stronger fighting shape. You're not dealing tons of damage, you need the extra bits when possible. Guzma and Cynthia can always help beef up any budget deck as well. As ForTheWinTCG shows in his deck list, Oranguru SUM 113 can be great for drawing cards, and having a Buzzwole FLI 77 can give you another heavy hitter for when your opponent gets to the right prize count. Weaknesses: Some decks two hit KO; you're likely going to be hitting a few more times to make it. The deck can make up for this by setting up incredibly fast, killing a lot of basics quickly, and constantly making the opponent switch, but you still have to be prepared. If the opponent has Pokemon that resist Fighting damage you'll also find yourself struggling. We hope you enjoyed this edition of Budget Blast! Another special thanks to ForTheWinTCG for the inspiration for this deck. Did you give this deck a try and find success? Were there cards we missed that could have made it even better? Sound off in the comments below or come tell me over on Twitter @LiteralGrill. 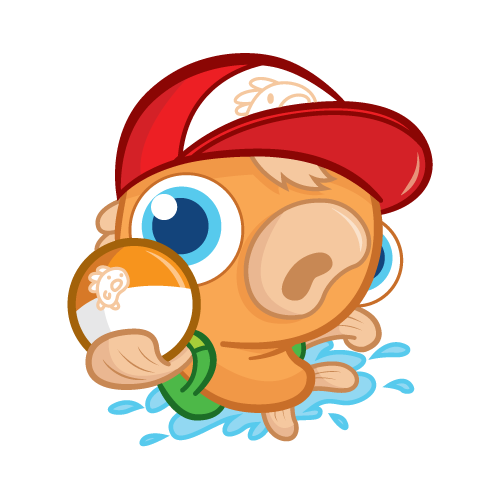 Until next time, stay lit trainers!